Valentine’s Day is one of the most anticipated holidays for couples all over the world. While it is indeed a beautiful day to celebrate your love for your other half, it is also a day dreaded by Filipino commuters as V-Day is expected to generate heavy traffic throughout the metro. To help spread the love and ease a bit of the traffic-induced stress on this day of love, PayMaya Philippines, the digital financial services arm of PLDT and Smart's Voyager Innovations, offered a romantic treat to the busy commuters of the LRT 2. The sound of the bustling train and the shuffling passengers were replaced by love songs fit for the special occasion. 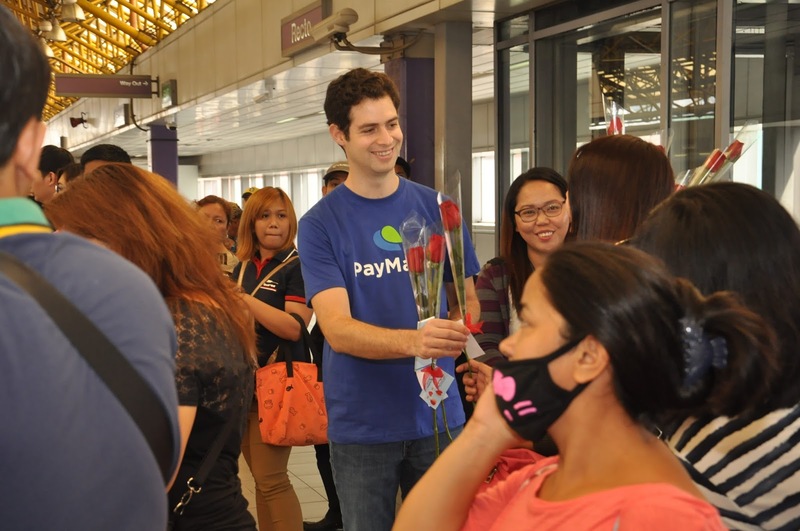 As commuters listen to the beautiful music rendered by the violinist, the dashing executives of PayMaya Philippines and Voyager Innovations surprised the passengers with long-stemmed roses. “We know that commuting – especially on this day – can be a bit of a hassle. We’re happy to share some joy through this simple treat for our customers.” said Paolo Azzola, co-COO and Managing Director of PayMaya Philippines. 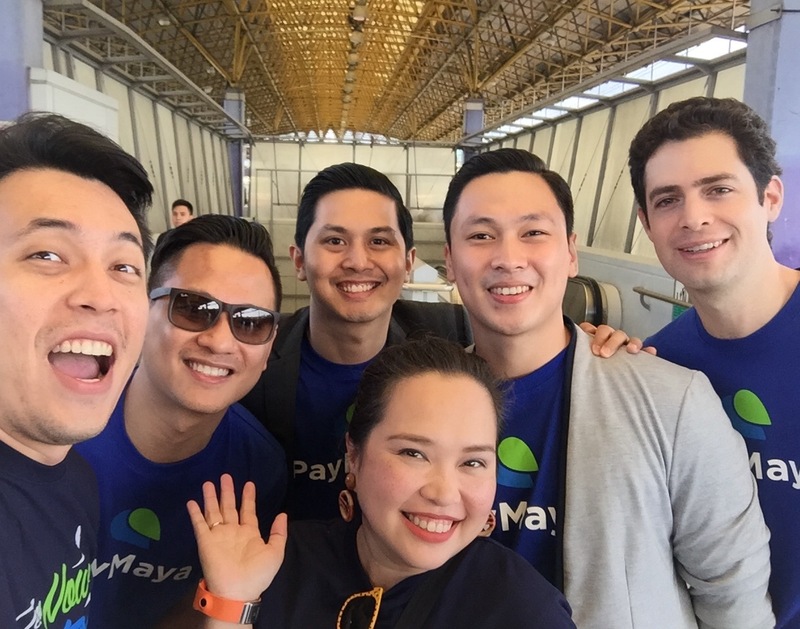 The executives also gave some lucky passengers their very own PayMaya card. PayMaya is a reloadable e-wallet that allows consumers to shop for the things they love – including clothes, books, food, and even a ticket to their dream destination – even without a credit card. A variant also doubles as a beep card, which definitely comes in handy for the everyday commuter. PayMaya can be used online and offline. All they have to do is download the app, register, link the card, and load it up at the nearest 711 with Cliqq Kiosks, Ministop with Touchpay Kiosks, SM Business Centers, Robinson’s Department Stores, UnionBank ATMs, or Smart Padala Centers. They can also opt to load it up via BDO online banking. “Similar to this Valentine’s surprise, our service, PayMaya, aims to offer a delightful experience to our users. Before, consumers have to apply for a credit card in order to shop or pay for the services they love online. And now, they can easily do all of these without having to go through the tiring and tedious process of getting a credit card,” shared Sharon Kayanan, Marketing and Brand Head, PayMaya Philippines. PayMaya, which remains to be the no. 1 most downloaded Finance app on the Play Store - Philippines, can also be downloaded on the App Store for free. To start using the app, all the user has to do is register with any Philippine mobile number, fill out basic information, and load up the account using the registered mobile number. For Globe subscribers, users will get an instant virtual Visa card while for Smart, Sun, and TnT users, users will receive the Mastercard version. PayMaya works anywhere Visa or MasterCard is accepted. The physical cards can be purchased at https://paymaya.com/shop/, free of delivery charges nationwide. PayMaya Philippines is the pioneer in mobile money and digital payments with established brands such as PayMaya, the first prepaid online payment app that enables the financially underserved to pay online without a credit card; PayMaya Business, the company’s system solutions provider that allows businesses to receive online and card payments anytime, anywhere; Smart Money, the world’s first e-wallet linked to a mobile phone; and Smart Padala, the leading mobile remittance network in the Philippines. PayMaya Philippines is the digital financial services arm of PLDT and Smart’s digital innovation unit, Voyager Innovations. Engage with us on social media at: facebook.com/PayMayaOfficial, twitter.com/paymayaofficial, and https://www.instagram.com/paymayaofficial/.